Mark McNulty is no stranger to success, with over 20 years as a successful business executive with experience in team leadership, marketing, sales, engineering, quality improvement, training, human resources, and finance. In 2004, after 20 years playing the Corporate game, Coach Mark had an “Entrepreneurial Seizure” and joined the ActionCOACH team. For the last 14 years he has been dedicated to helping other Entrepreneurs achieve their dreams, the way ActionCOACH helped him achieve his. Just like you, and every other business owner out there, Coach Mark has experienced the ups and downs of owning a small business, and understands the difficulties of succeeding at each step along the way, from start up to Growth/Expansion, to using Leverage. Coach Mark has won numerous Action Man Awards locally, regionally, and globally, been a Conference Presenter, and has been a Top 100 Coach for the last 4 years. 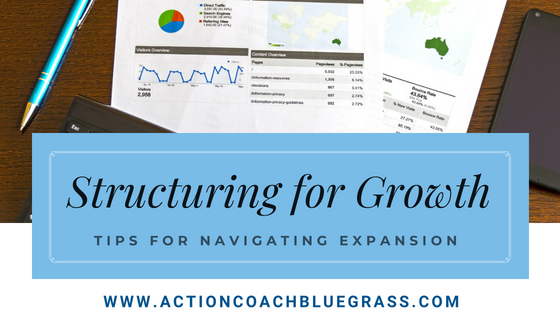 Now the founder of ActionCOACH Bluegrass, where he is Master Coach for the team, Coach Mark can help you find your way to success the way his coaches helped him find his. No two journeys are the same, but the decisions to be made, the priorities to be set, and the actions to take all come from the same place inside of us. Coach Mark’s Top Strength is his ability to break down the complexities of a challenge into smaller components which can then be more readily addressed and resolved. Born in the Chicago suburbs, Mark has lived in the Midwest his whole life. He started his coaching career in Columbus, Indiana in 2004. In 2015 he moved to Louisville, where he lives with his wife Liz. He balances his work and play by golfing as often as possible, collecting bourbon, traveling, and rooting for Notre Dame. Thank you! The ActionCOACH Bluegrass team will be in touch with you promptly.